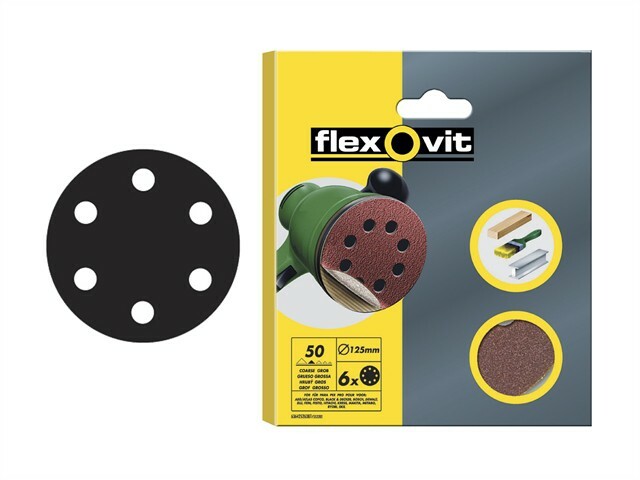 Flexovit hook & loop sanding discs are tough and durable, with heavy paper backing for longer life, are ideal for general purpose sanding and stock removal. The tough and sharp High Performance Aluminium Oxide combined with a heavy paper backing makes this product extremely durable and long lasting. Hook & loop backing allows quick and easy disc changing to fit most brands of electric sanders. Suitable for use on wood, paint and metal.